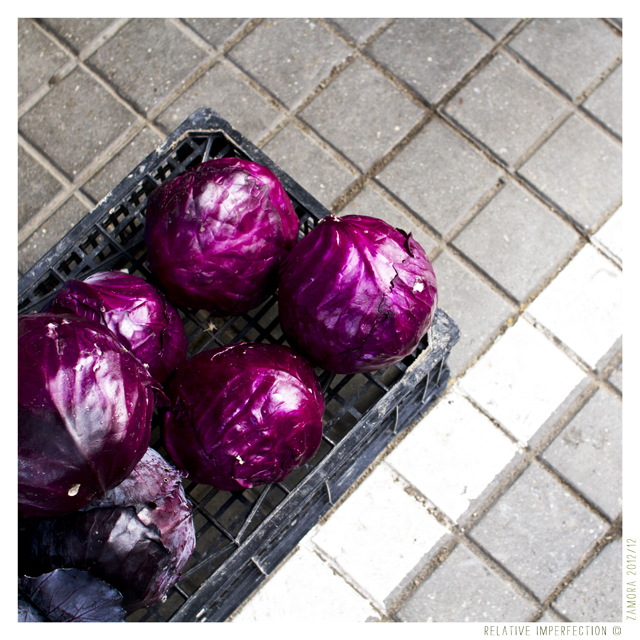 This entry was posted in Photography and tagged box, cabbage, caja, col, España, market, mercado, mercado de abastos, morado, purple, quote, quotes, sidewalk, Spain, Spanien, Zamora. Bookmark the permalink. 3 Responses to Rose Soup. Love this one. However, roses and cabbage are both fresh and cool when you kiss their layers of skin. lol! that´s what i call positive thinking!